Along with writing, I adore reading. I believe one of the most pleasant moments in life, is when we read a fact or fiction book that moves and motivates us to experience more and enjoy each day to the fullest. With that in mind, I am eager to share my list of books about the country of Turkey. I have read each one and update this list, when the last page of each book has been closed. All of them can be purchased on Amazon, in either hard back form or for kindle.From travel guidebooks to novels to fiction and fact, to make for easier browsing, I have separated them into categories. This city deserves a guidebook all of its own and the handy pocket size Istanbul Select Guide by established Turkey travel writer Pat Yale is what I always use. It details everything including recommended attractions and opening hours, Turkish food to try, drink, restaurants, hotels, regional trends, travel tips and culture aspects to be aware of. It is available in Kindle or paperback version. Personally, I love the paperback version because it is pocket sized and easy to fit into your handbag. Read more about Istanbul Select on Amazon . Although this is a novel, the author Giles Milton carried out extensive research and interviews into the history of the Levantines, who were influential members of society in Turkey during the turn of the 19th century. “There is no such thing as an atheist at 30,000 feet when the engines fail”. This is just one of the hilarious accounts of British Expat life in the coastal region of Bodrum. Written by author Jack Scott, this novel tells their story about their move to Turkey, and their life as a gay couple in a Muslim country. To date, it has received many rave reviews and is for sale on Amazon here. If cultural experiences are your main reason for travel, this book will provide a great insight into daily Turkish life and this will enhance your visit to the country. Wrriten by an Australian expat who lives in Istanbul, it is a heartfelt account of just how different life can be when you tour another country. Read the reviews and order it from Amazon. I throughly enjoyed this book which is a combination of one woman’s true story, historical events and a guide to the Lycian way of the Mediterranean coast of Turkey. 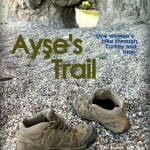 Written by her friend Atulya, Ayse’s Trail is the story of a Turkish woman, who defied society’s expectations and it can be ordered from Amazon in paperback version. Read more about the book here. Nuray Aykin tells the story of raising a Turkish son in the USA while still believing and adhering to Turkish customs and traditions. She talks about her own hurdles in life and her book presents a great insight into Turkish family life. 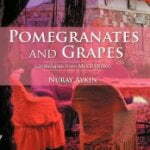 Amazon says “Pomegranates and Grapes tells stories of her loved ones and describes the places where she spent her childhood-from a little Mediterranean town to the city of Ankara, Turkey’s capital” Read more here.. It would be quite unheard of to publish a list of books about Turkey and not mention the author Orhan Pamuk. If you don’t know who he is, he is one of Turkey’s leading writers that has been published in numerous languages. He was born in Istanbul and is a winner for the Nobel prize for Literature. If I am to be honest though, I fail to appreciate his work. This is not a criticism of any kind and I greatly respect what he has achieved. I just cannot resonate with his writing style. For that reason, he does not appear on this list but you can find out more about his work here. Hi Penny, Great to hear you have a book – use my contact page if you want me to review it. 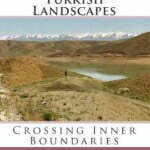 Loving your books about Turkey, and the whole website. Massive fans of the beautiful country and have been visiting there for a very long time. In particular, we like the ‘non-touristy’ bits, which you can even find close to the big resorts. My first novel is set in Marmaris, a romantic comedy, and what I love the most is the feedback from people who have never visited Turkey but have now done so based on the book. The more people I can tempt to visit, the better. Thanks for sharing all the info. I’m reading “5 routes to explore Istanbul in 5 days”, Nice travel guide of Istanbul but with lots of data about Turkey, its history and traditions. Easy reading, fun book !